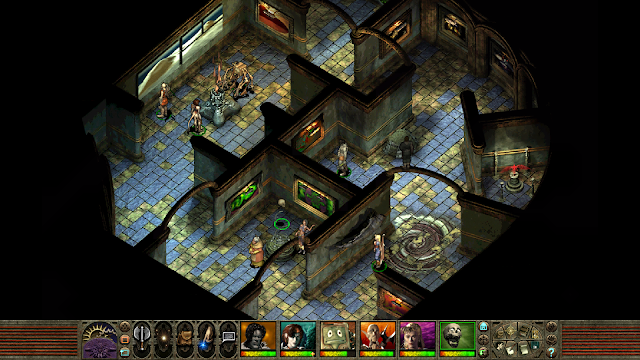 Baldur's Gate, Icewind Dale, Neverwinter Nights, Planescape Torment. There was a time where the Dungeons & Dragons name was attached to the very most respected RPG video games, to go with the prestige that it held in the pen-and-paper space (before Atari ruined everything, thanks Atari). Now, all of these classics are coming to console for the very first time. All the ports are being handled by Beamdog and Skybound Games - Beamdog being the one responsible for bringing many of them to iOS and Android already. They'll all be released in 2019, and while specific platforms haven't been announced, Xbox One, PlayStation 4 and Nintendo Switch have all been tagged in the blog post that announced the ports. This has me so excited. Baldur's Gate 1, in particular, I have incredible reverence for, having played it at least a half dozen times through over the years. Who knows how these games will work on console, since the interface was very reliant on a mouse pointer, but we'll have to wait and see there. Ni no Kuni is another world, different from but parallel to the real one. And Warner Bros. and Level-5 are bringing it to life in an anime film. Following "an incident" — there's always one, isn't there? — longtime friends Yuu and Haru travel between the worlds, endangering the lives of everyone. There's a third friend, Kotana, heavily wrapped up in "the incident." The film is due out in Japan this summer. 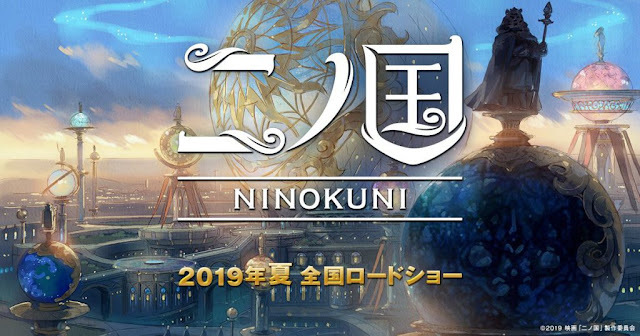 In the meantime, check out our review on the most recent game, Ni no Kuni II: Revenant Kingdom. Bikini girls is an aesthetic that will never get tiring. So, great news! Onechanbara is back! Developer, Tamsoft, is working on a full remake of Onechanbara 1 & 2, and it's looking great. The clothing is skimpy, the violence is exquisite, and the game is sounding great. Both Onechanbara 1 and its sequel were originally developed for the PlayStation 2. Rather than go through the lazy "HD upscale" route, it looks like Tamsoft is doing a complete ground-up design, giving the new "ports" a brighter, more colourful look, while substantially improving on environments and character models. These games are, of course, B-grade in the extreme, and designed that way. 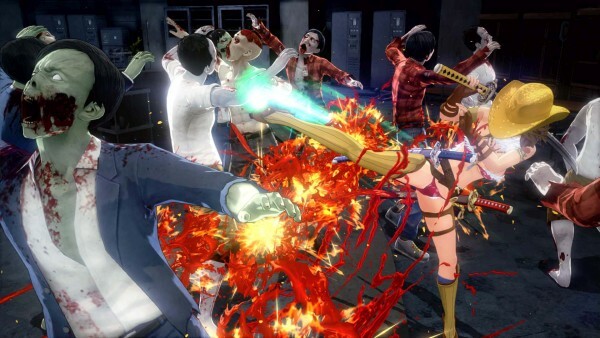 Onechanbara games never review particularly well, but they are a great celebration of everything that made the horror genre such a vibrant source of comedy back in the 80s, and, as long as the two games are also updated so that they play as well as the most recent title, Z2: Chaos, then we're in for a good time with this one. There's no specific release date planned at this stage, but you can assume that a 2019 release is likely, given that this year marks 15 years of Onechanbara, and Tamsoft will want to celebrate that. Criminal Girls is getting a comeback! It's time for a Criminal Girls 10th anniversary project! The RPG originally released in 2010. In Japan, Nippon Ichi has allowed Mikage the use of the "Criminal Girls" name, but the literal title in the West may have to be different. Criminal Girls X is about love, loss of life, hope, and a cat. Yes, a cat! The protagonist's fiancee dies, and he spends his entire life trying to rescue her. At the end of his life, he learns her soul is in the domain on the brink of hell, and when he was he wants to hold her in his arms again... he turns into a cat, surrounded by 24 women. In Japan, the game will be released for smartphones and PC. Gematsu (huge shoutout of thanks for this!) is on board to translate the game media. There is a chance of the title releasing, under this name or another, for the PS4 in Western territories. Stay tuned, as more information will drop on April 26.